This week was the first meeting of the Bury Food Co-op with the aim of setting out how to begin and what being a member would look like. A Food Co-op is essentially a group of users buying food collectively for the benefit of either cheaper or better quality food. These can take many forms a shop, a box scheme, a pop-up stall or a buyers club. Initially, the Bury Food Co-op will be a buyers group with the aim of accessing Organic Wholefoods at a reasonable price. This will begin with produce from the Suma Coop and Hodmedod’s. Membership will be £15 for a year and there will be a nominal 15% charge on the wholesale prices, Membership available through the shop. 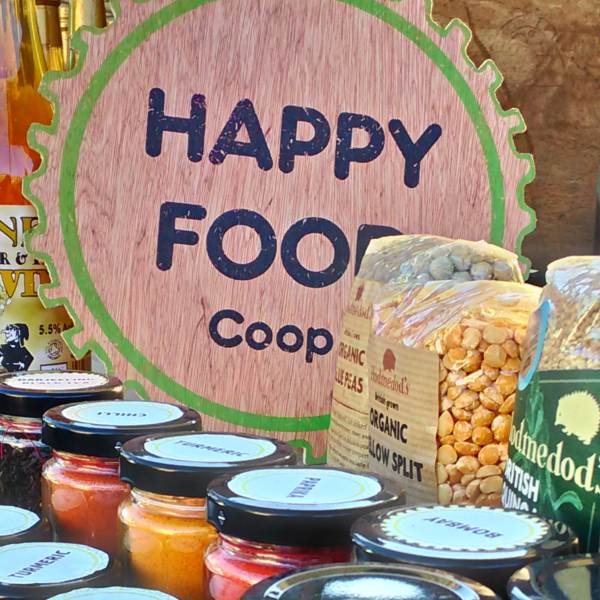 The members will become the ‘founding members’ of Happy Food Bury, which has been set up as an unincorporated members’ cooperative. Thank you to everyone who came to the first meeting today. The potential of Food Co-ops in very exciting and they all begin with the simple step of a small group of individuals making an order together. Please do not hesitate to get in touch or come speak to me at the market stall if you wish to join or find out more.